Ari Pandes is an Associate Professor of Finance and current Area Chair at the University of Calgary’s Haskayne School of Business. He teaches courses at the PhD, Executive MBA, MBA, and senior undergraduate levels, as well as to corporate executives. 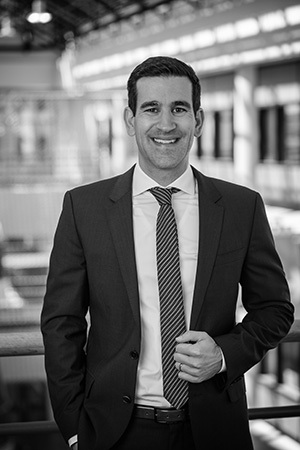 Ari’s research focuses primarily on issues in empirical corporate finance, with specific interests in securities issuance, investment banking, and financing decisions. He has presented his research at top international Finance conferences, at various universities internationally, and at the U.S. Securities and Exchange Commission and the Bank of Canada. Ari has also been awarded research grants from the Social Sciences and Humanities Research Council (SSHRC) and the Canadian Securities Institute Research Foundation. His research into the Canadian capital markets has twice won the Bank of Canada best paper award, as well as the 2016 CFA Society Toronto and Hillsdale Canadian Investment Research Award. Ari’s research has been cited in the press, and he frequently provides financial and economic insights to various media outlets. Please CLICK HERE to download a copy of Ari’s latest Curriculum Vitae. The publishers of the articles on this website hold the copyright, and you may use the PDF documents only in a manner consistent with the fair-use provisions of international copyright laws. In particular, you may not distribute them, make them available for download by others, or use them for any profit-making enterprise.